When I was born, my parents were twenty years of age and unsaved. My mother abused me when I was only a year old. She burned my hands with hot tap water from the faucet, broke five of my ribs, my shoulder, my wrist, and my nose. Because she could not care for my sister and me properly, we were put into a foster home. My father worked hard to prove to the state that he could care for us and was granted custody of us when I was about two years old. Later, my father, sister, and I moved just a few miles from Windsor Hills Baptist Church with my grandmother. In the early eighties, a young man from Oklahoma Baptist College named Steve crossed my path and invited me to ride his bus to church that Sunday. I did go, and I took my cousins with me. Bro. Steve began visiting us faithfully each Saturday and even led my grandmother to the Lord. The change in her life was immediate and drastic. 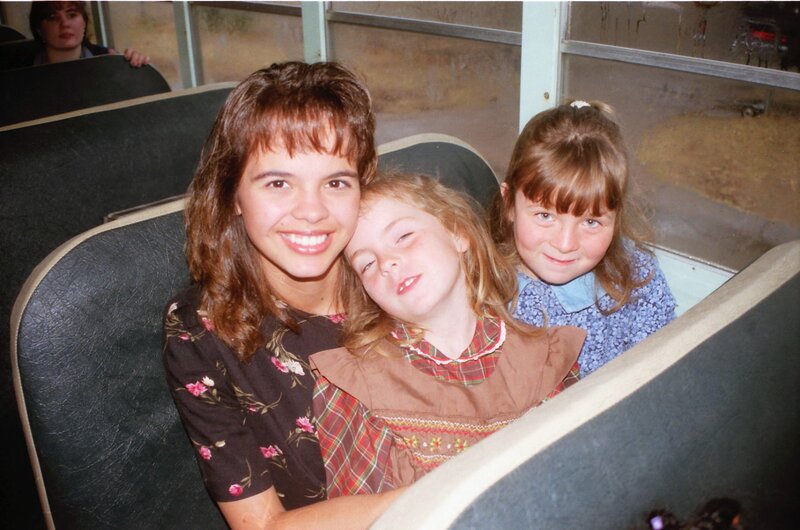 She began riding on the bus route with me and became a “bus grandma.” There at Windsor Hills Baptist Church I found people who really loved me and who loved the Lord. I previously did not know anything about Jesus or the Bible, but I learned through my church that Jesus loved me and died to save me so that I could go to Heaven. As a four-year-old girl, I understood that, and I asked the Lord into my heart. I even began to feel a burden to become a missionary. Praise the Lord He saves everyone, despite our backgrounds or home situations! When I was about fifteen years old, two of my cousins committed suicide. My sister and I both really felt the weight of those events, and my sister soon began to voice suicidal thoughts as well. She was put into a mental hospital where she could be observed throughout the day by counselors to find out what was troubling her. When she finally confessed to the counselors that she wanted to commit suicide because she was being abused by our father, she also voiced that he was also abusing me. Not long after, the police showed up on our doorstep to take us into custody and to arrest my father. I was made to tell the police all that I could recall about being abused by my father. That night in the shelter they provided for me, I wondered what my future held. I wondered why God would ever let so many terrible things happen to one person. I wanted to live for God. I wanted to be a missionary. Why did things like this happen to someone who loved God? Didn’t God love me in return? Soon Bro. Vineyard, the pastor of the church, made some calls and arranged for a family in the church to come pick me up from the shelter and to gain custody of me. After nine months of living with this family, I was allowed to live with my grandmother once again. The Lord gave me so many opportunities, one of which was a mission’s trip to Ukraine. We worked there for a few weeks in a youth camp. Little did I know at that time that these were the people for whom the Lord was preparing me to minister to. 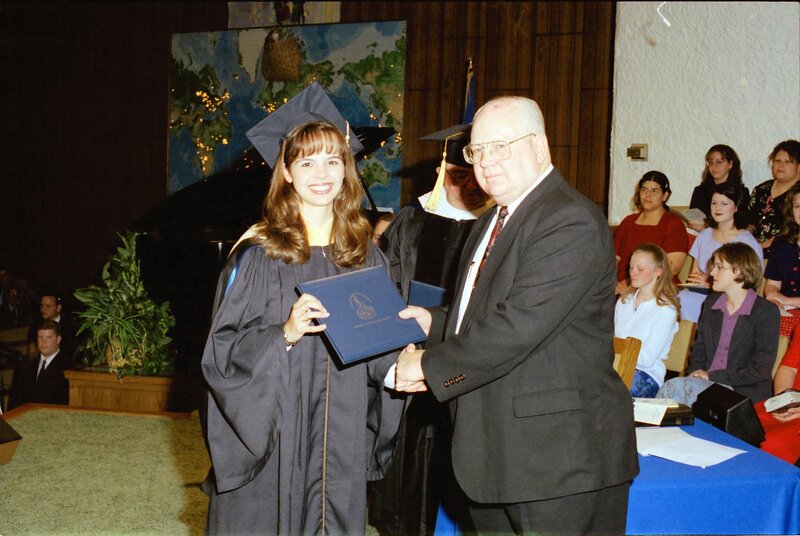 On May 15, 1997, I became the first in my family to graduate from high school. Before my graduation, no one – including my parents, grandparents, aunts, uncles, cousins, or sister – had finished high school. I began attending Oklahoma Baptist College that next fall. Though I did not know, a young missionary’s son, David Sloan, had begun praying specifically for me when I was only fourteen years old. Through the years, his prayers became more serious about the possibility of spending his future with me. Soon, the Lord brought us together as we courted each other for four years. David came from a Christian home that I never dreamed I could be a part of. His parents, Dr. and Mrs. Tom Sloan, and grandparents, the late L.H. and Eva Ashcraft, were lifetime missionaries. Yet, despite our very different and seemingly impossible backgrounds, the Lord allowed us to get married. Our wedding day, June 9, 2000, was a truly a miracle day! The devil had once again lost the battle! 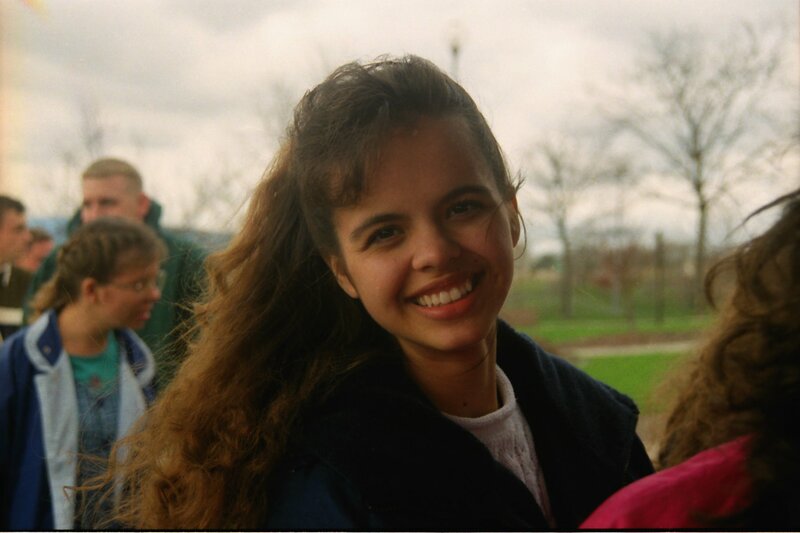 7 Responses to "Jolene Sloan"
Jolene’s story is a true testament to the love and mercy of God. I met her when she toured for her college and also when she toured for deputation, and the joy of the Lord is present in her! Praise the Lord for their continued work in Ukraine. Jolene is my cousin. We all miss her here so much. Knowing that the Lord’s work is being done through her makes the time away worth it though. Our past does not predict our future…Jolene is living proof. Saw a familiar name on here as well, Bro. Steve also led me to Christ. Just wanted to take a chance to say hello and thank you to him as well. 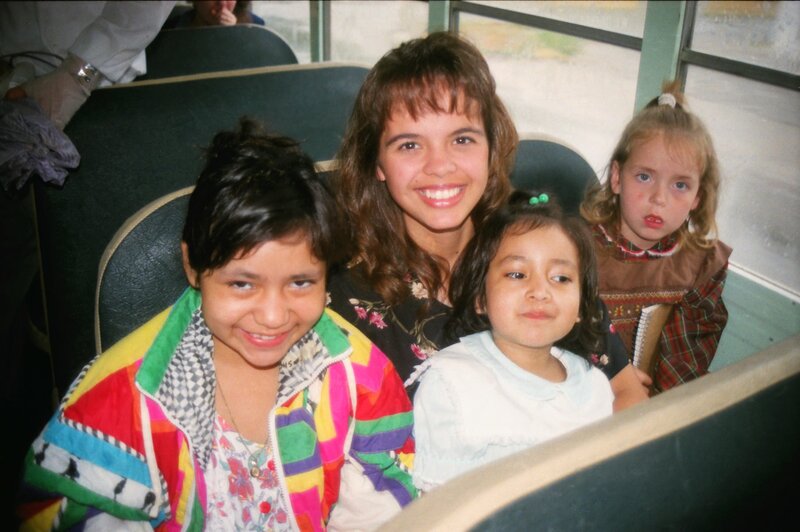 Yes, the bus ministry is alive and well and providing the means by which so many children are introduced to the Lord. Our oldest bus kid is a retired lady, and young ones are in booster seats. It was such a bus ministry that introduced us to our church almost twelve years ago when we were first in the neighborhood. I give thanks that it has not only continued, but grown by leaps and bounds. It is a blessing to hear of so much coming from such a program. Thank you Jolene for sharing your testimony. You are one special lady and friend. I pray that God continues to use you in a wonderful way in the lives of those orphans and the people of Ukraine. Jolene, Ive heard your testimony many times but hearing it from you makes it seem like I’m hearing it for the very first time. And it makes me think about myself being a bus kid! And for the fact that I got to graduate from Windsor Hills Baptist School. I remember everyone begging my mom for me to be able to go and she always said no. Then my senior year of high school, she said YES!! And although that was one of my hardest years in school, It was great because that just goes to show you how God DOES provide and answers prayer. Thank you for graciously sharing with us the miracle of God in your life. God graciously allowed me to serve at North Valley Baptist Church in a bus ministry since 1987. I am still driving the bus picking up family. It is encouraging to read your story. Your story is typical of many bus children that I have worked with. But that is how our God works. From a life of hopelessness, God creates a life through whom all hope stems from. I will continue to drive the bus for many more years to come because He lives.